New Year’s Workshop Was a Success! 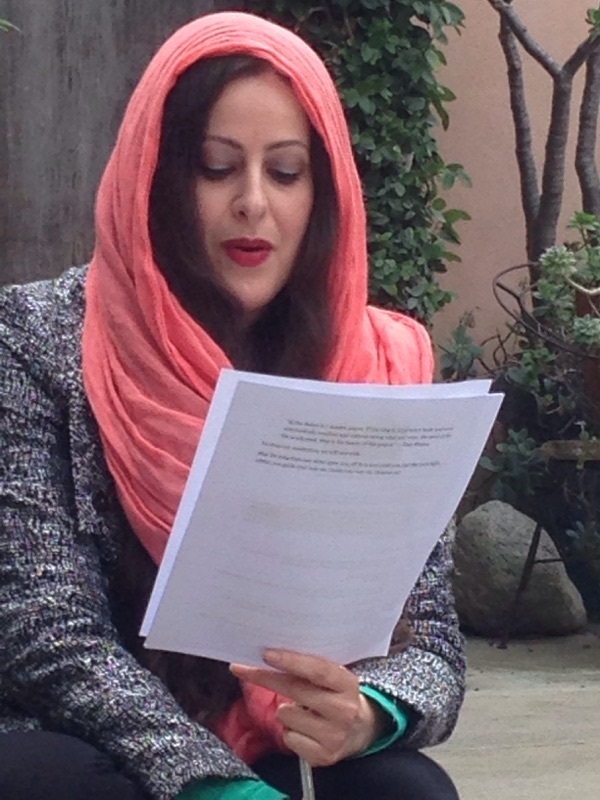 On January 30th I hosted a New Year’s workshop at One Roof in Venice Beach. I am so pleased to share that the workshop was a success! 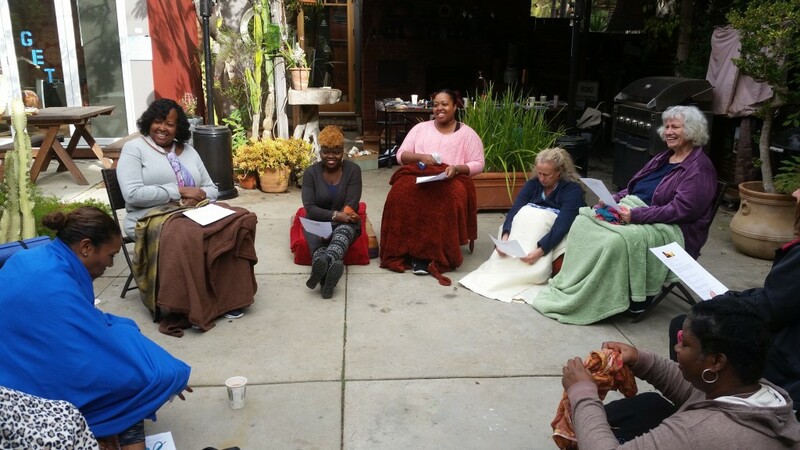 I wanted to provide women with the time and space that they needed to relax, reflect, set an intention for the way that they want to live their lives, and come up with a plan to reach each and every one of their goals. We spent the day talking about what we want our lives to look like and we tapped into our heart’s deepest desires. 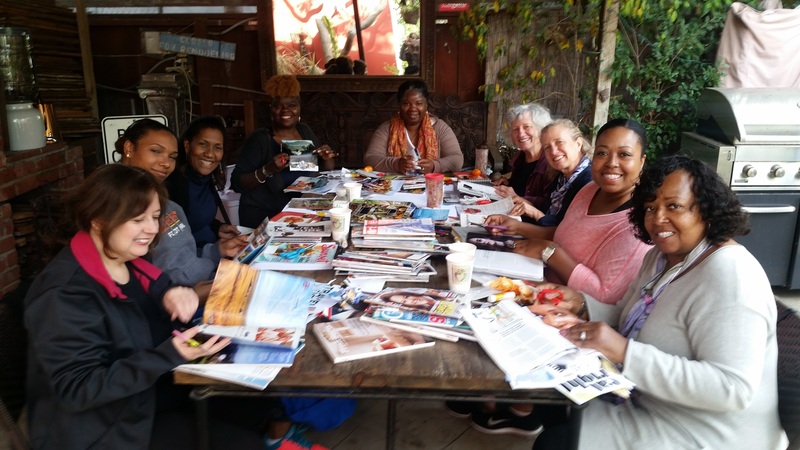 We wrote in our journals, created plans for our goals, made vision boards to help our dreams become a reality, meditated, ate delicious plant-based foods, and took part in an interactive talk that I lead. It was incredibly touching to see so many women come together, open up about their fears and desires, bond, support one another, and know that they are not alone in their joys and frustrations. I am excited to share that I will definitely be putting together more workshops in the future, so please stay tuned! It turned out to be a nice morning/afternoon, so we decided to sit outside. Here are the women creating vision boards. Like the retreat that I hosted in October, we ended up having lots of mother/daughter duos at the workshop! 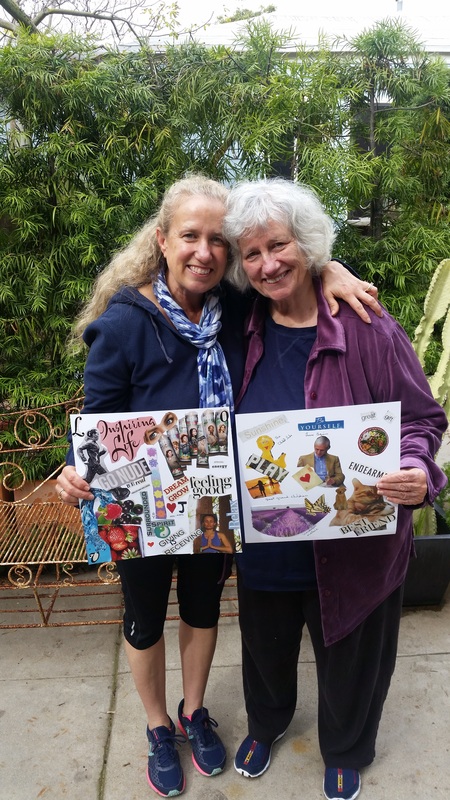 Here are JoAnn and Monica, sharing their vision boards. 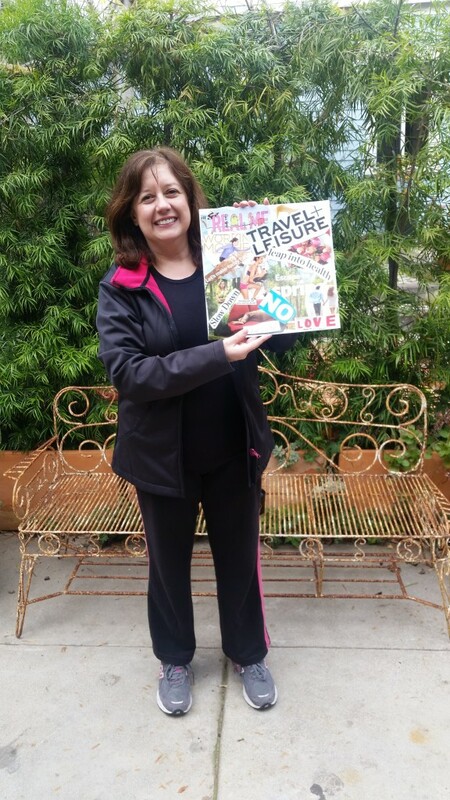 JoAnn is working on finding balance in her life and making more time for herself. Monica recently got married – congratulations, Monica! She and her husband Ted would like to start a family soon and they are thinking that Monica should try to get pregnant by the end of the year. Because of this, Monica wants to eat healthier and stay active so she can be in the best shape of her life when she gets pregnant and so that she can also pass on good eating/living habits to her future child(ren). I can’t wait to learn more, Monica! 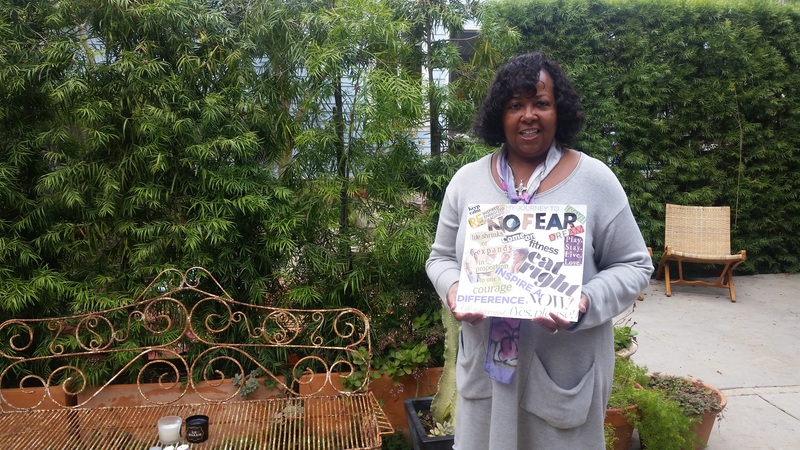 Lynne-Anne created a great vision board that covers the four main aspects of her life. 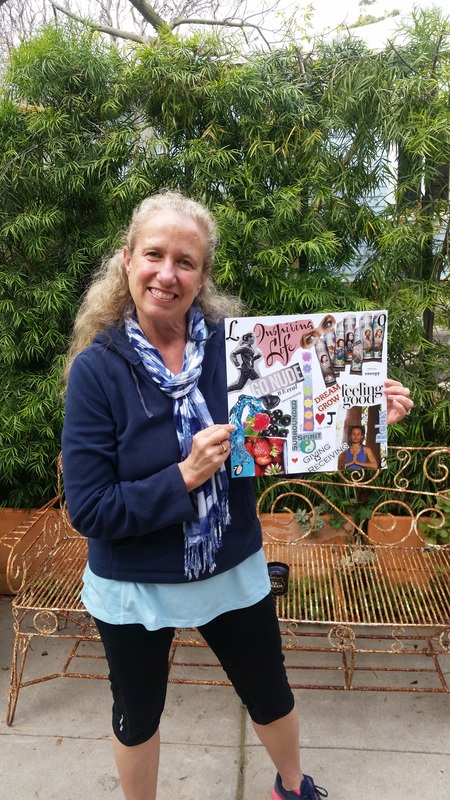 In each corner of her vision board are the letters “LOVE” because everything she does is surrounded by love. I love this, Lynne-Anne! 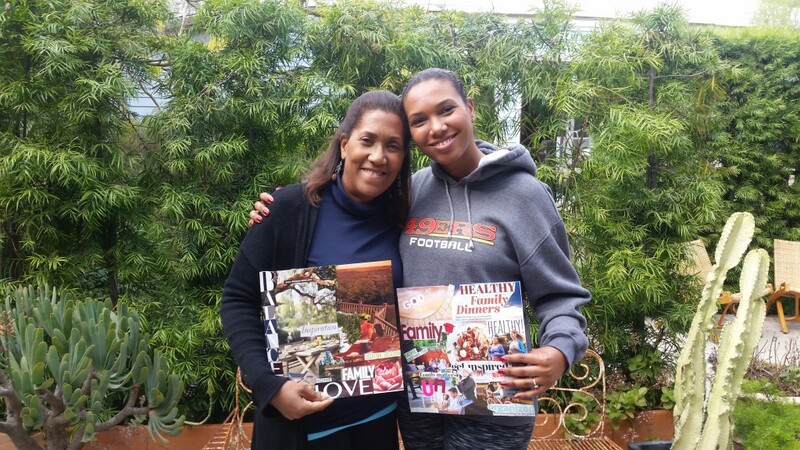 Here is Lynne-Anne with her mom, Ruth. Ruth is retired and wanting to enjoy her life and play more. She has an adorable cat that cuddles with her, so you’ll notice the two kitties on her vision board :). 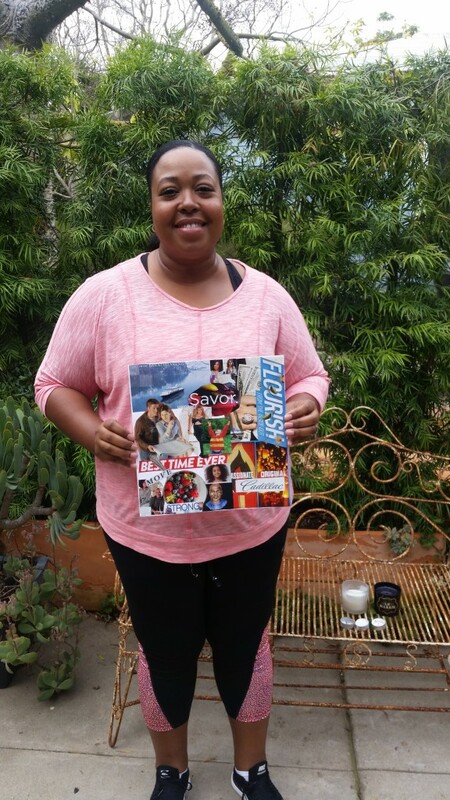 Gwenna created four vision boards! She’d like to do things fully so she is working on giving everything that she does 100% of her effort. She wants to see things through to the end. She is also working on getting fit and eating healthily. 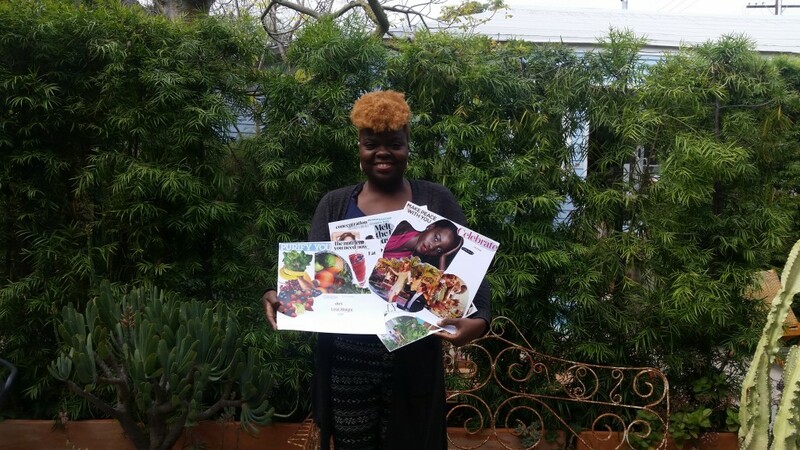 I can’t wait for updates on your health journey, Gwenna! 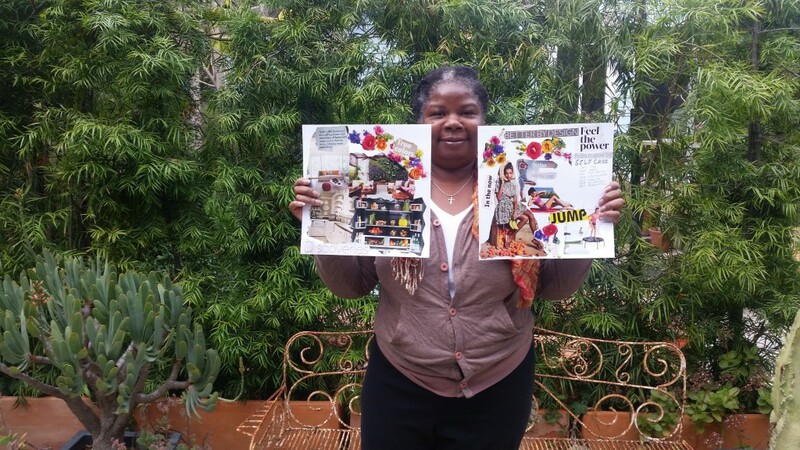 Elizabeth created two vision boards :). Nicole has been wanting to go on a cruise to Alaska with her husband so you’ll notice that she has a picture of a cruise on the top left corner of her vision board. She also wants to be authentic; she has a top-level position at her company where she is not only the youngest employee, but she’s also the only woman and the only minority. Though she is required to dress professionally and “be polished” at work, with her hair straightened, she sees her true self as rocking an afro, smiling, and wearing a dashiki, which she does on weekends :). You may have noticed Virginia from my last retreat – I love Virginia! 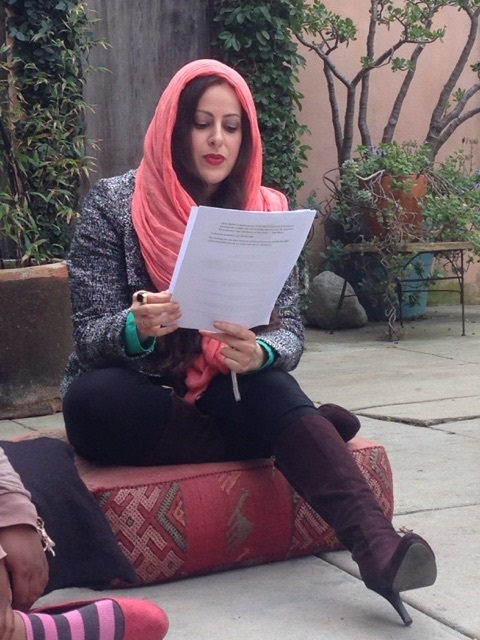 She has such a warm, fun energy and she’s always open to attending these workshops and tapping into her true self. As a mom, daughter, and teacher, she is working on saying “no” more often so that she can say “yes” to herself. It’s taking some time, but I am so proud of her for finally prioritizing self-care! Pam is retired and loving life! She is traveling and taking the time to enjoy herself and her family. There may be something else that she wants to pursue in life, so with some encouragement from her daughter Nicole, we’ll see what life has in store for Pam! 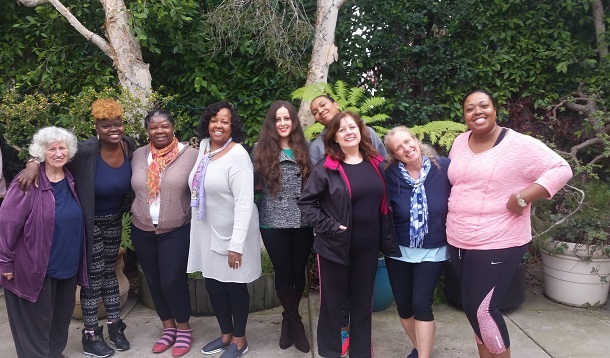 Here I am with the lovely women who attended this special workshop. It was a beautiful day and I truly enjoyed my time with them. Thank you, ladies! 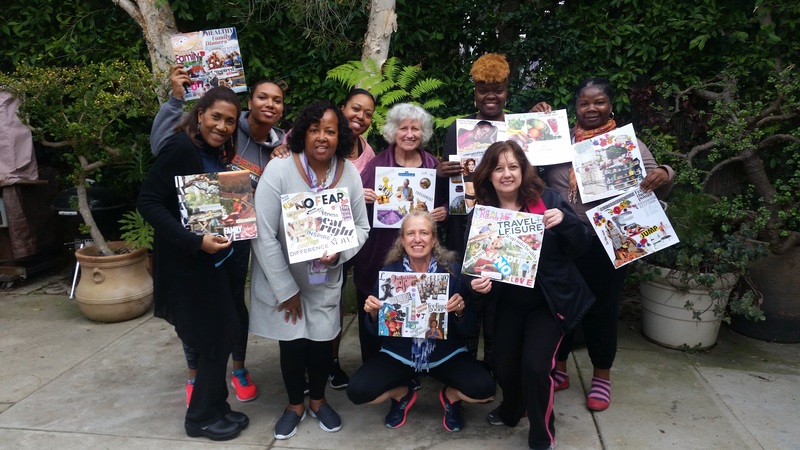 Here are the women with their vision boards. Great job, ladies! The women are getting ready to meditate! 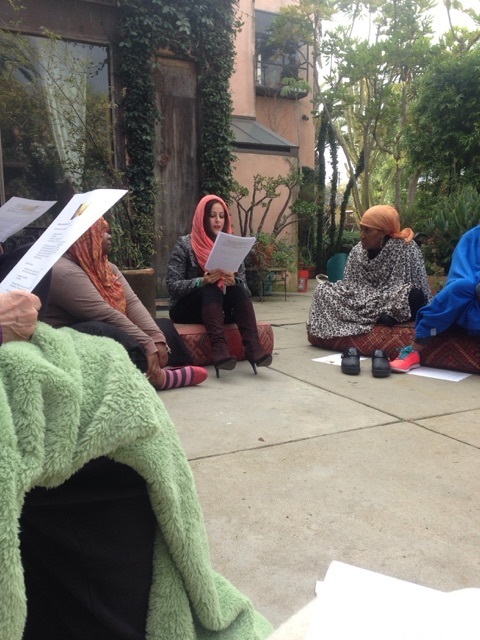 Lynne-Anne took a picture of me preparing the women for our meditation. I had no idea she was taking pictures! We went over the mantra before we meditated. 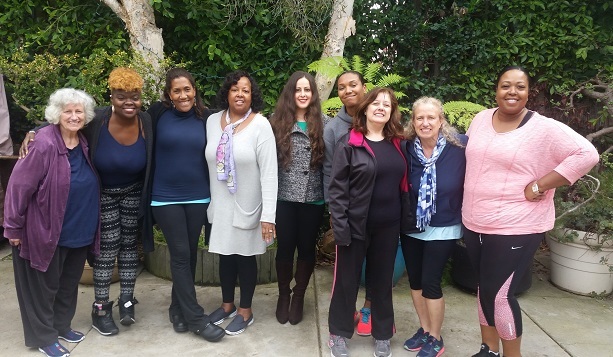 I always love spending time with women and helping them reach their goals and live a life filled with love, abundance, and self-care. Please join me for my next workshop!